Hello Summer! Is it hot where you're at? We have had some hot days around here lately, which is fitting for the middle of July! Now that we're past the red, white and blue decorating theme, I decided to bring out some cheerful and bright colored glass beads. 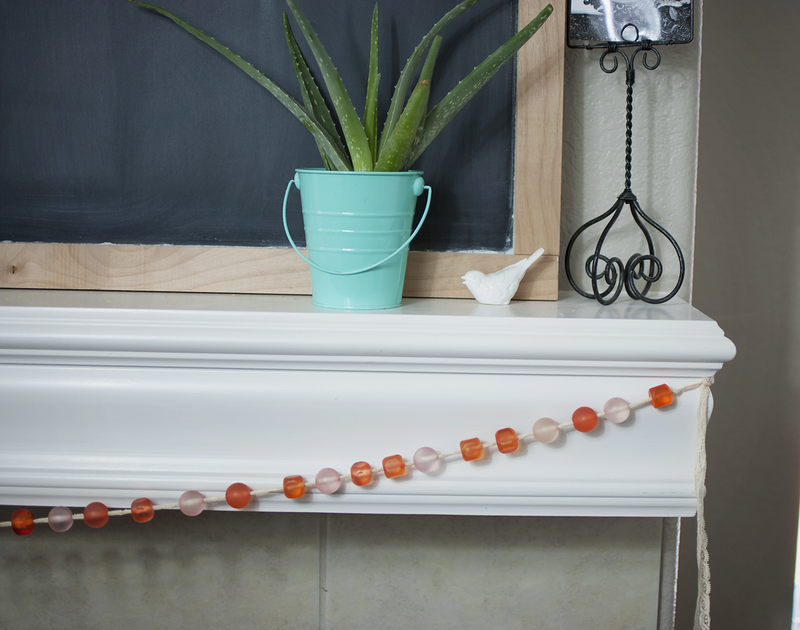 The wood bead garlands seem to be pretty popular right now with the Farmhouse Style crowd (me included! ), I'm sure you've noticed a few Instagram photos here and there with the wood beads popping up in gorgeous rooms and dotting your feeds. It's an easy enough DIY and have had it on my to-do list forever. 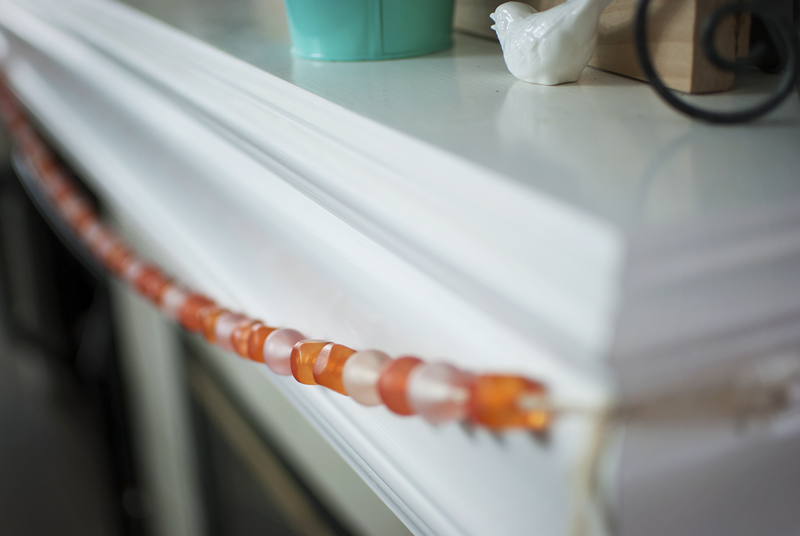 I decided to add a little pop of color to my mantle, but instead of the wood beads I used bright colored glass beads. This is such an easy DIY project! 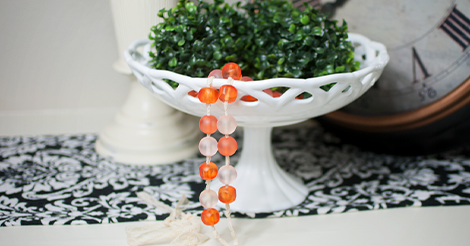 Perfect for Summer or Fall decor, or even the holiday season. 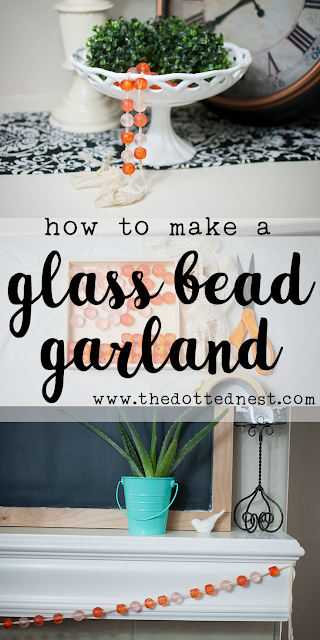 You can make the garland in under 5 minutes. Promise. The Glass Bead Garland is a nice touch for a mantle, a bedroom or nursery, an office, anywhere you need a little pop of color. 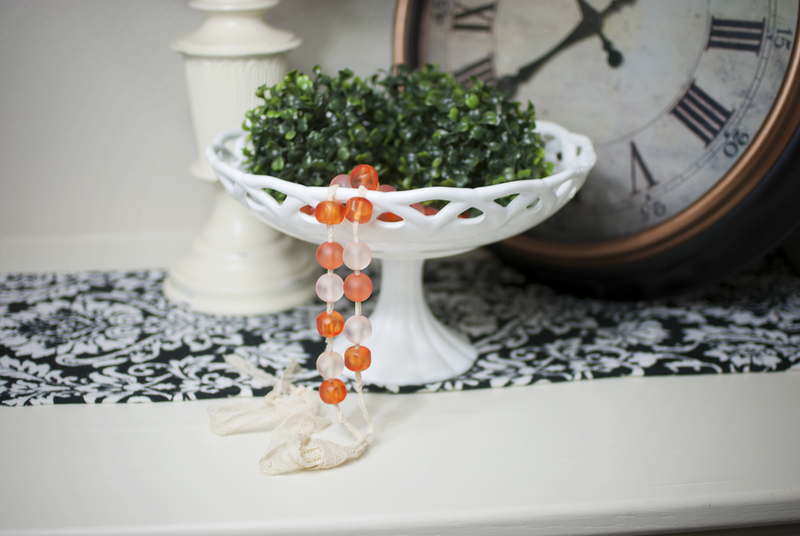 The glass beads glam it up a little, the garland is like a necklace for your home! 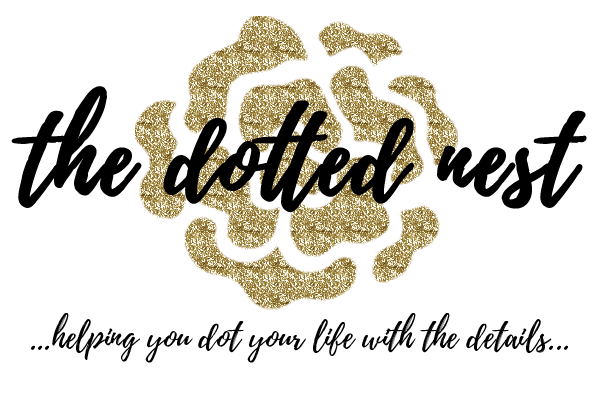 I love my rustic farmhouse style, but sometimes I need a little bling and glamour to jazz it up and make it fancy. 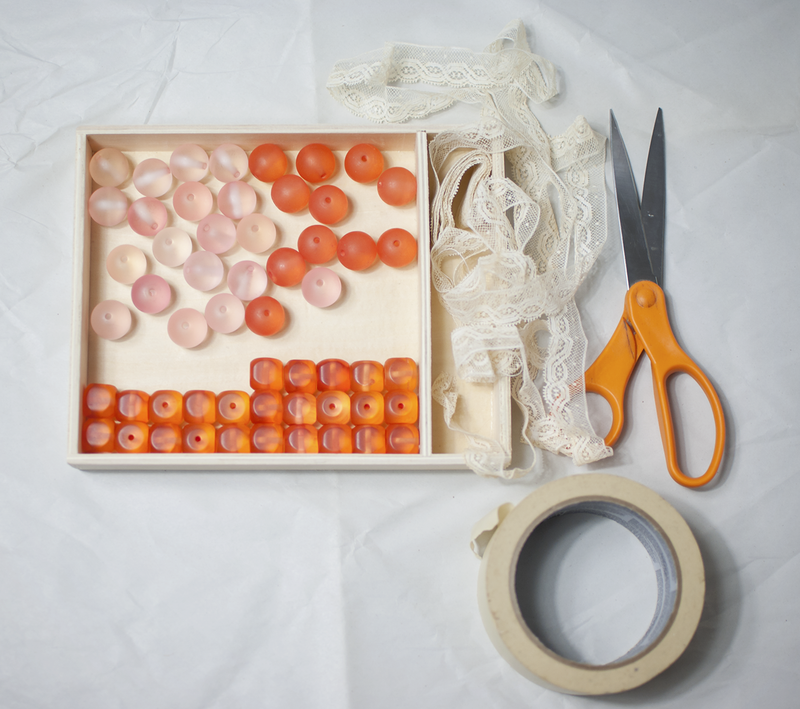 Cut your lace or ribbon to your desired length. Tie a loose knot on one end. 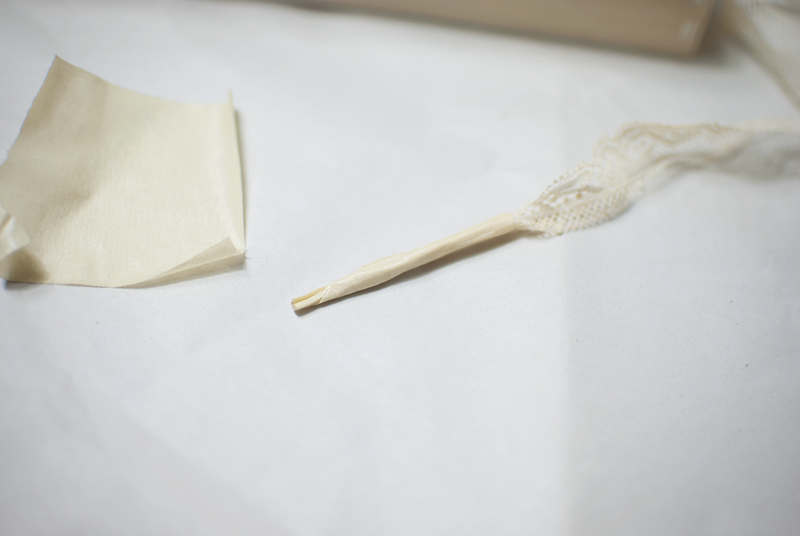 On the other end of the lace, use a small piece of painter's tape and roll the end of lace up with the tape. 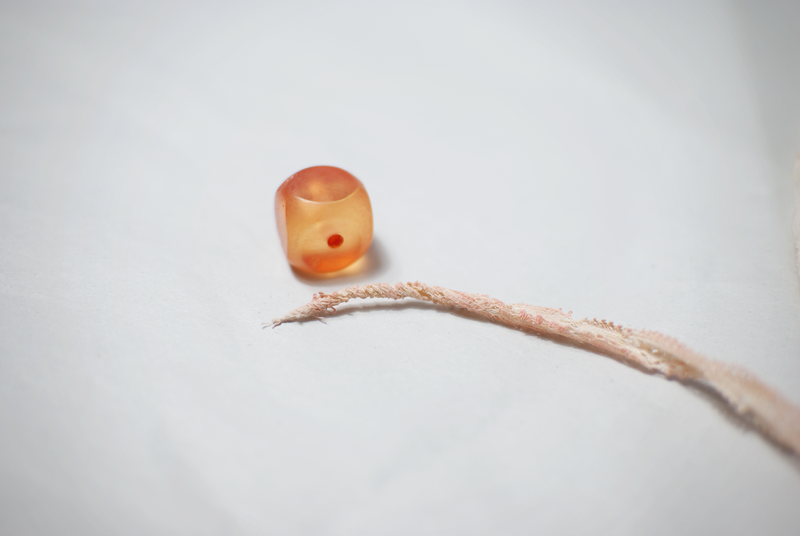 You want it to be about 1-2 inches long and skinny enough to fit through the hole on the beads. The tape helps make the lace firm so it will pull through easier. If the tape doesn't work for you, you can always try it with a sewing needle. 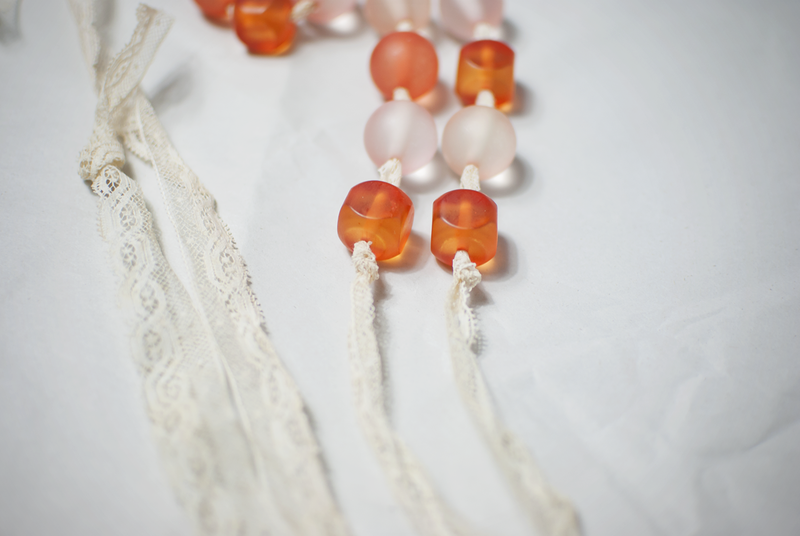 String the beads on the lace. I did not knot the lace between each bead, but if you like even spacing, you might want to do that! 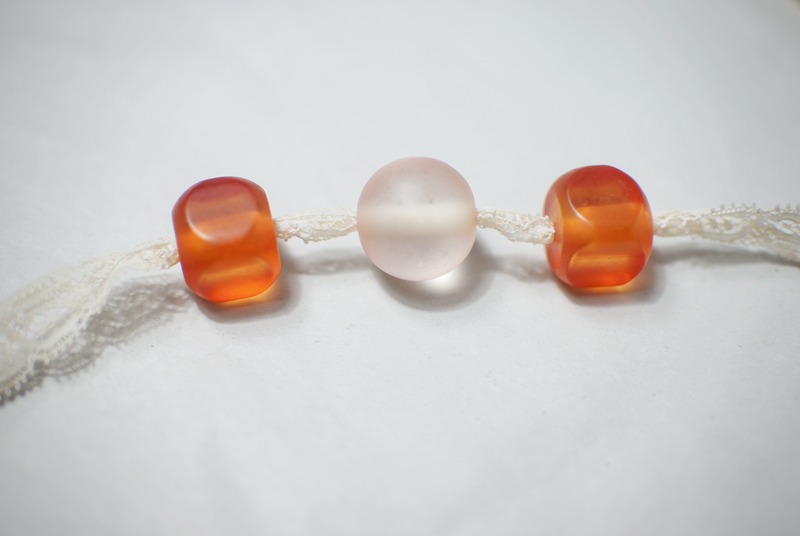 When you have all the beads on, just knot off the end. I made sure to leave enough lace on each side so I could tie a little loop to help hang the beads. I told you it was easy! I love the pop of color adds. I think I might even be able to stretch this into Fall with the coral/orangey color. This would be a fun project to do with older kids if they're looking for a summer project! Hope you're having a great rest-of-the-summer before it ends! I can't wait for cooler weather, but the lazy days of summer are hard to beat!